Current CLSSC families may check their service point totals by clicking the button to download the file. 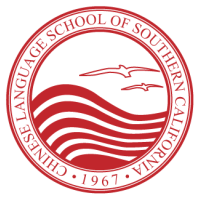 Please contact Michael Chang at servicepoint@westsidechineseschool.org or visit the office during school hours with any questions. Also, ﻿the deadline for reporting service points for the 2018-2019 school year is June 15, 2019. * Effective immediately, two (2) of the twenty service points that each family must volunteer every school year must be earned via activities related to the Chinese New Year Carnival. This requirement does NOT apply to volunteers serving in dedicated positions that are already granted 20 service points. However, if a position is shared by multiple volunteers, such that each volunteer earns less than 20 points from said position, then each volunteer still needs to earn two points from activities related to the Carnival. * Families with only students registered in the Parent-and-Me class are not required to serve 20 volunteer points per year. However, families with students registered in both the Parent-and-Me class and the regular kindergarten through 12th grade classes are required to serve 20 volunteer points per year. Click here for more information.